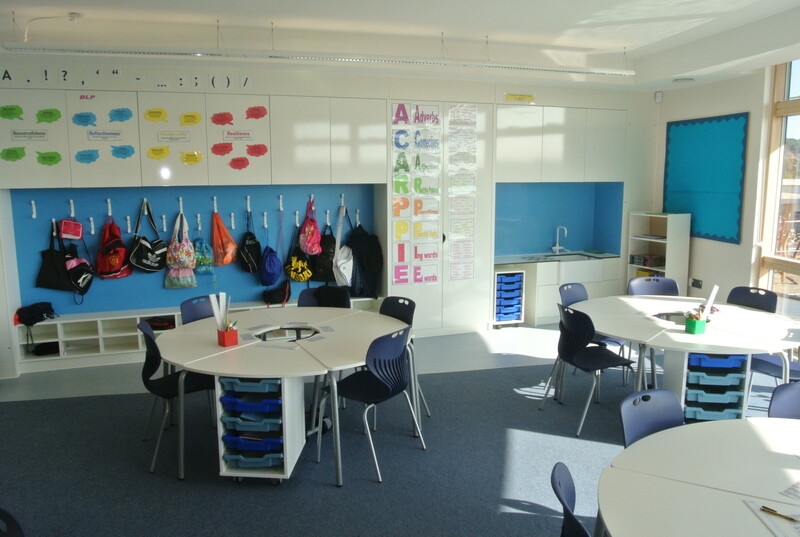 Folkestone Primary Academy offers a bright, spacious and stimulating environment for primary learning where classes of 20 radiate off central learning zones. 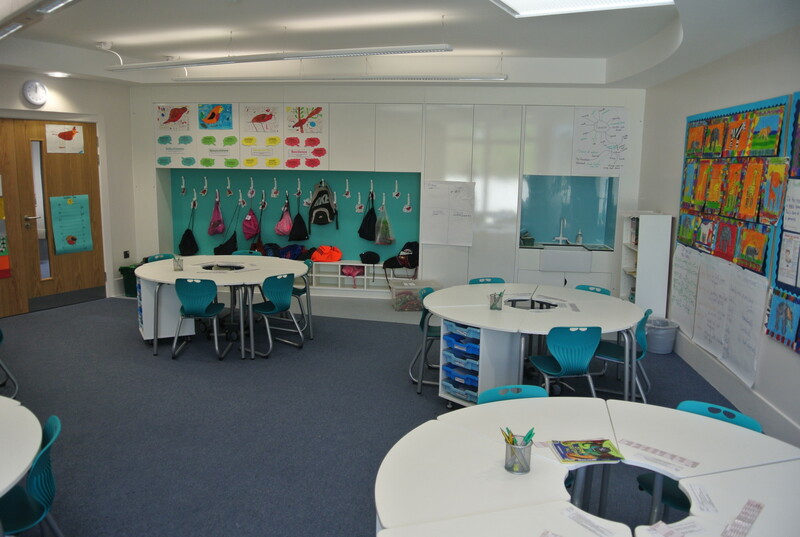 Year groups are divided into three drum shaped structures, with each drum representing an educational step reflecting a child’s journey through the school. 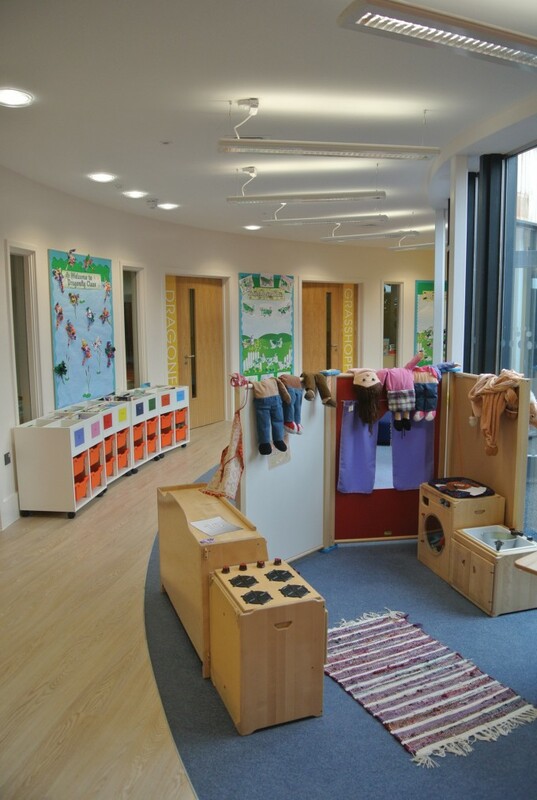 The youngest children are based in the lowest part of the building and through stepping stones, the years lead up to the Secondary Academy. Working alongside WW Martin and Folkestone Academy, zioxi provided an imaginative and exciting FF&E solution for the whole school. Due to the circular nature of the building, zioxi developed an impressive bespoke fixed storage solution to incorporate the curved walls whilst maximising space for storage. 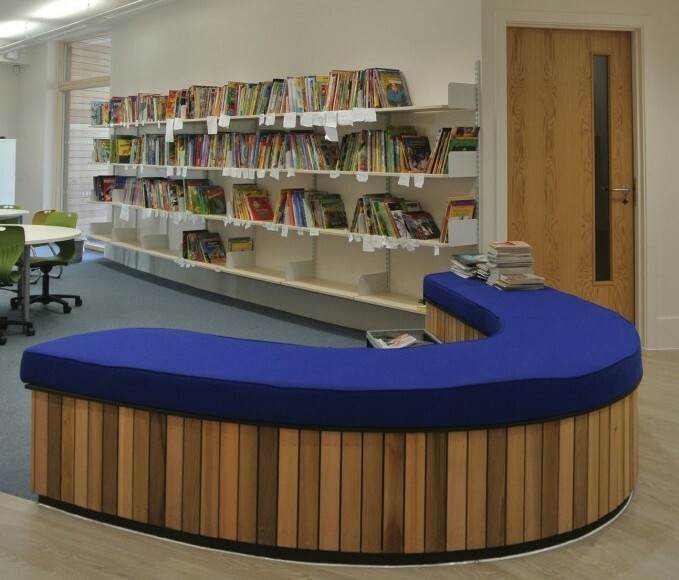 Organically shaped furniture complimented the sweeping curves of the building, whilst the use of bright colour and space dividing furniture allowed each zone to be clearly identified. 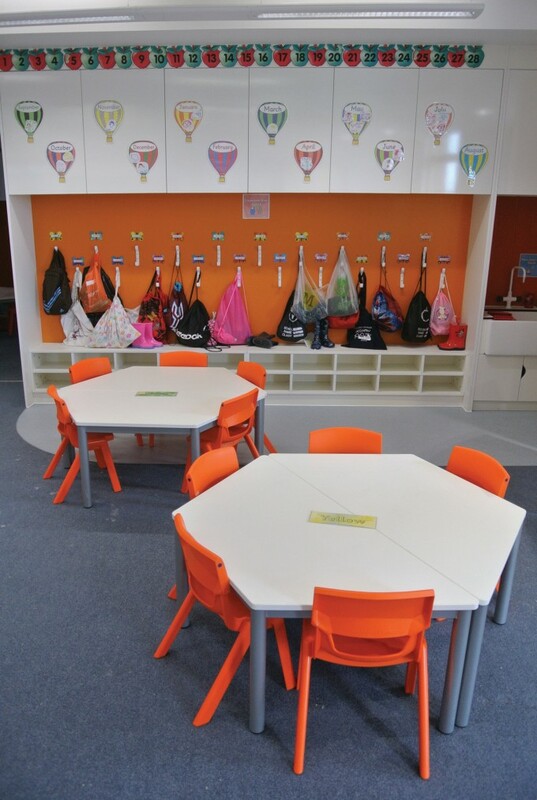 Each learning space progressively flowed into the next, allowing zioxi to fill the space with agile and adaptable furniture solutions that can easily be reconfigured to create truly flexible learning spaces in both the classrooms and break out spaces.